(U.S. Concrete) Portable concrete mixers and mobile on-site plants are two distinct categories of products that provide a solution to a common problem — the need for fast-track mobilization of concrete supplies to remote locations. All concrete suppliers construct stationary concrete plants. Fewer will have a fleet of mobile concrete mixers and the capacity to set-up multiple on-site ready-mixed concrete plants. Mobile plants allow for efficient concrete construction operations anywhere in the country, especially in areas that would be logistically impossible to reach from stationary plants through conventional means. U.S. Concrete's Dallas / Fort Worth business unit, Redi-Mix Concrete, is supplying the concrete for Facebook's Fort Worth Data Center. Redi-Mix teamed up with U.S. Concrete's nationwide mobile concrete plant business unit, U.S. Concrete On-Site, to provide the equipment necessary to supply one of the largest projects in the nation. 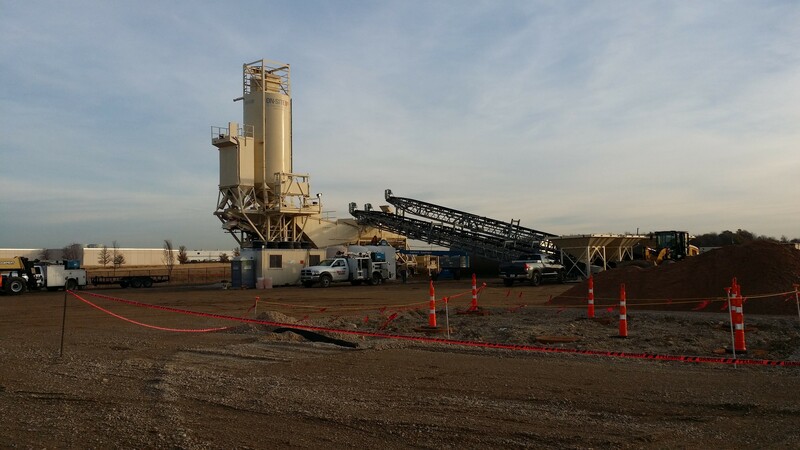 With over 100,000 yards of concrete placed so far, Redi-Mix and On-Site, are showing their strength and flexibility with fast track mobilization portable plants.